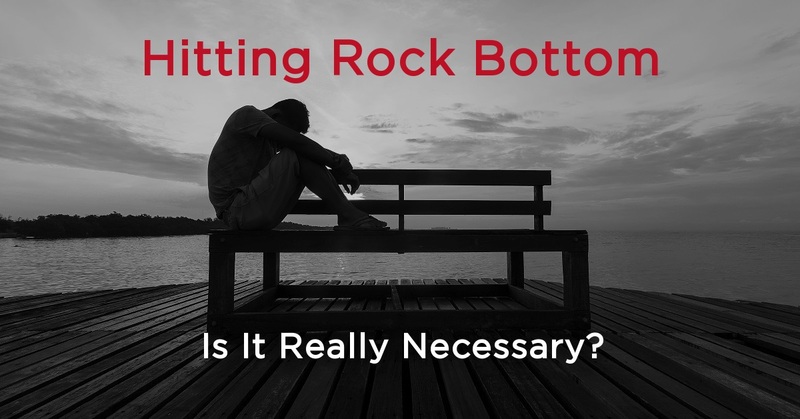 Hitting Rock Bottom: Is It Really Necessary? Friends and family members often wonder of the addict or alcoholic in their lives: What will it take to get them sober? Begging and pleading so often seemed to fail, even when we could see that our loved one wanted a better life. Perhaps they simply couldn’t admit to themselves that they needed a change, or that they were capable of making one. Maybe they knew they wanted it, but just not quite enough. When we ask others who know more about recovery, they usually tell us that nothing will help short of hitting rock bottom. The addict must reach a point at which no options appear to remain. Hitting rock bottom needn’t be a literal matter of life or death, although this is sometimes the case. Rather, rock bottom is the point at which the addict has lost something or someone they feel they cannot live without. And it shouldn’t surprise us that many see hitting rock bottom as a requisite precursor to entering recovery. After all, anyone who can give up drugs and alcohol without first experiencing a few consequences likely doesn’t qualify for substance use disorder in the first place. Unfortunately, the broad definition of rock bottom means that everyone hits it at different times—and some not at all. If we can enter recovery before the worst occurs, then so much the better. We’ll get to that in a moment, but first let’s discuss what hitting rock bottom might look for various people, depending on their circumstance. Believe it or not, emotional downfall seems to rank among the most common forms of rock bottom. The more cynical among us might assume legal issues would rank higher, but only about 12% of AA members in a 2014 survey entered recovery for this reason. By contrast, nearly one-third entered at the behest of other members, while 30% entered for self-motivated purposes. Causes of self-motivation naturally bear a wide range, and can include forms of rock bottom outside of the emotional spectrum. But quite often, the emotional rock bottom turns out to be a social one. Many enter recovery under threat of divorce, or because family members such as parental units have threatened to cut ties if the alcoholic or addict did not seek help. In other words, a person who doesn’t benefit from social interactions actually operates at a lesser neural frequency. Any sense of normalcy in life depends on our ability to help regulate emotion through social interaction. 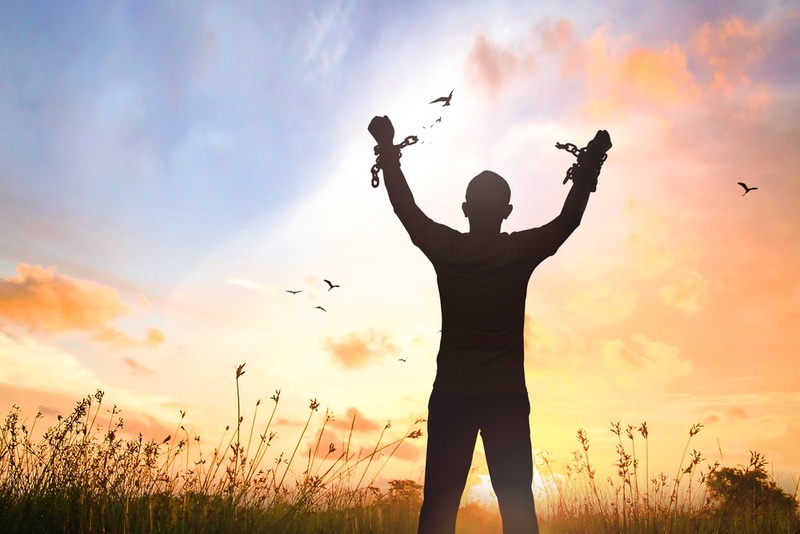 As we reach new depths of isolation, pushing people away through our actions during the course of our addiction, the pressure to change our way of life will inevitably mount. Usually, however, one loss will do it for us. Whether it be a romantic partner, cherished relative or best friend, we all have that one person who helps keep us stable. In fact, recent studies show that having a best friend actually benefits our overall health. So it’s no wonder that losing this friend will often spur us toward recovery. Ideally, we would enter recovery before this loss occurs. Otherwise, we must hope that we can overcome our social anguish through the gifts of recovery and fellowship. Perhaps this is why 70% of older adults and 25% of young adults seek AA primarily for the benefits of friendship. For many of us, few alternatives remain by the time we finally hit rock bottom. All the more reason to bite the bullet and begin our recovery before things reach this point. While only 12% of AA members on the survey entered recovery by court order, a vast number of addicts and alcoholics intimately know our legal system. Some attend because of a simple DUI, while others find recovery due to far more serious circumstances. A drunk driving incident leads to a loss of life, or the user commits assault during a blackout. Others get busted for dealing drugs, and must come to grips with their own drug habits as a result. The low numbers on the survey might unfortunately reflect the fact that not all who enter recovery for these reasons will stay once they finish treatment. Fortunately, these numbers may improve over time. Due to programs such as Operation HOPE in Maine, some addicts can turn themselves in, seeking amnesty and better access to treatment. They do this without provocation, demonstrating the willingness to enter a police station despite the fear they likely experience while crossing the threshold. For such people, treatment serves more than a means to an end. The people willing to make use of such programs are those who feel they are at the end of their rope, and will seek help in any way they can get it. Employers may see a vested interest in either helping their employees to recover or letting them go entirely. And in today’s economy, job loss most definitely equates to hitting rock bottom. In fact, whether employed or not, finances often play a role in the choice to enter recovery. Hitting rock bottom may take the form of lost rent money or repossession of worldly treasures. We pawn everything we own, or see it taken by the repo men so that we lose the ability to sell it. Now, not only can we no longer afford to fund our habit without stealing, but we risk losing the very roof over our heads. Some even wind up homeless. Tragically, this does not always result in hitting rock bottom. Many continue to find ways of drinking or abusing drugs while living on the streets. And if we cannot hit rock bottom after losing our livelihood, things may get bad enough that we risk the loss of life itself. In some cases, physical and emotional rock bottom combine in the form of a friend or family member who loses their life to the disease. Especially if we are present for their overdose, this can be an eye-opening experience. But even in these cases, we often continue using despite knowing the risks. Sometimes, hitting rock bottom requires that we experience first-hand the terror of coming face-to-face with death. Hitting rock bottom in this manner may occur in a variety of ways. Just note the long list of potentially fatal side effects of addiction, as collected by the National Institute on Drug Abuse. The list includes heart disease, liver damage, stroke, kidney damage, possible contraction of HIV and multiple forms of cancer. These symptoms affect not only drug addicts, but many alcoholics as well. As you’ve probably surmised, even getting sober will not necessarily result in the ability to overcome these types of ailments. For many, hitting rock bottom at this point will still prove fatal, regardless of the choice to recover. Many do overcome their maladies, however, going on to lead great lives in recovery. But again, we see an instance in which it would prove far better to avoid the consequences altogether and seek recovery before reaching this point. And while this course of events may seem rare, that does not make it impossible. You can likely see from the above discussion why hitting rock bottom, despite its common role as the catalyst to entering recovery, should not be seen as an absolute necessity. It takes a great lack of faith in people to suggest that they must risk death or imprisonment before they can make their lives better. We sometimes tend to marginalize these types of success stories, dubbing them “high-bottom” addicts or alcoholics. Not only does this set them apart from the rest of their fellowship in recovery, but the tone with which many use this label often approaches one of derision. Her hospital visit, as far as she says, did not stem from alcohol or drug abuse. 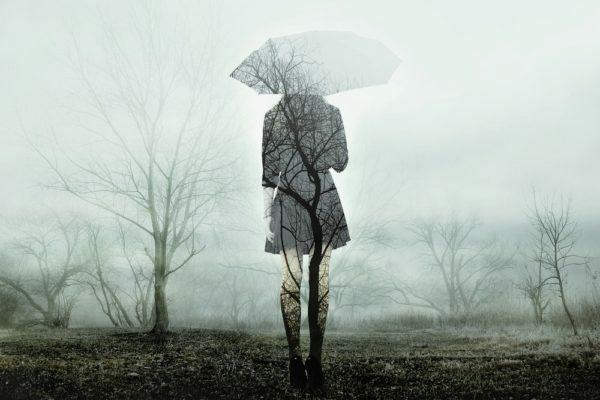 Nor did she put her life on hold to visit treatment, but rather to simply find herself. Nonetheless, her story might resonate with those in need of a spiritual experience. When we begin to despise our own drug abuse yet cannot seem to quit, we often find ourselves experiencing these moments of panic. Yet most of us respond to them with more substances. And even if the thought of treatment enters our minds, we put it off, deciding that the time off from work constitutes too great a risk or that the imaginary stigma of attending rehabilitation would be too much to bear. In the end, however, what would really be worse? The stigma of those who don’t understand us? Or the stigma we face whenever we look in the mirror and feel loathsome toward the person we see? The human instinct for survival is stronger than we give it credit for. 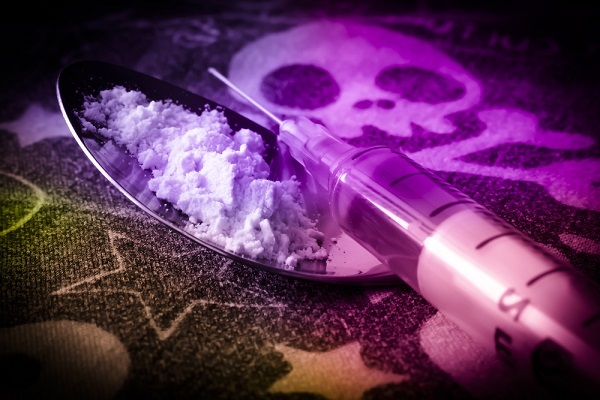 If you struggle with addiction, then some part of you likely wants help. Trust that instinct. Don’t wait until hitting rock bottom results in potentially grave consequences. You can succeed now if you give it your all. And if you need help getting started, then by all means contact us for information on our programs. We are always here to help you in your time of need.